Here is a mockup contains a box, tag and bag. 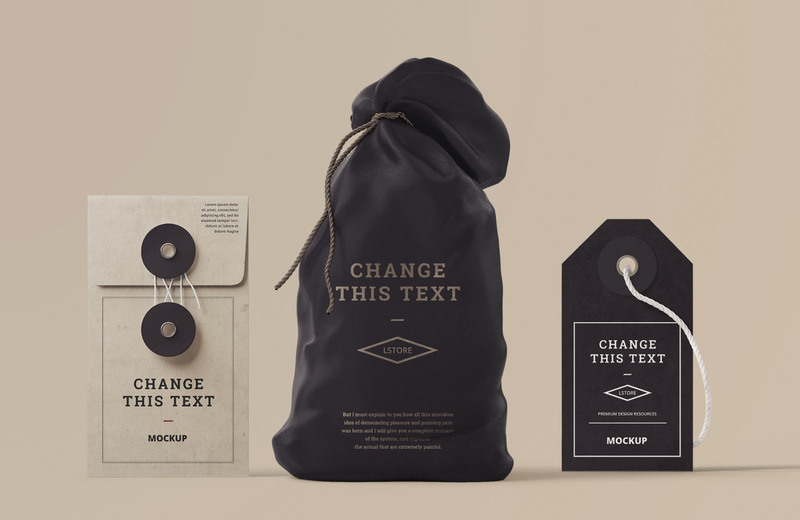 This mockup will be amazing for your branding projects. You can paste your logo on the items, change the background color as well as the color of the items. With a high resolution of 2600 x 1440px Photshop file, the mockup will be useful for your personal and commercial projects. Thanks to Lstore Graphics for the mockup. They have a lot more on their website, so go check them out.